The importance of opera houses to the cultural and community life in nonmetropolitan areas of the country from the last quarter of the nineteenth century to the advent of motion pictures in the 1920s has seldom been documented. As both the civic and arts center for the community, the local opera house was a venue for community meetings, political rallies, concerts, lectures, and theatrical entertainment. 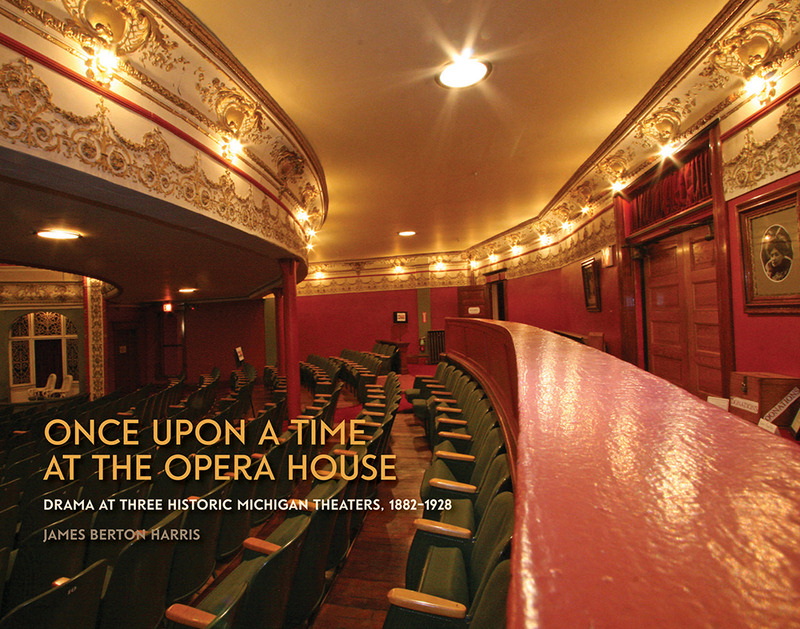 The stories the reader will encounter here—related with a healthy dose of humor—are based on historical facts, anecdotes, urban legends, and tall tales associated with three of the more than one hundred opera houses that existed in Michigan during this period. As there are similar stories about such structures throughout Michigan as well as in other Midwestern and Western states, this could be considered a storybook about the golden age of opera houses in many of America’s rural regions. Unfortunately, many of Michigan’s wonderful old jewel boxes have been razed or burned down. Whereas almost every town in the state once had a facility referred to as an opera house, few remain and, of those that do, few are open for business. The opera houses in Coldwater, Calumet, and Manistee are still in operation, however, and are still serving their communities as they have for over a hundred years.